A little bit of recognition is always good for morale, even when you’ve been in the business for ages. 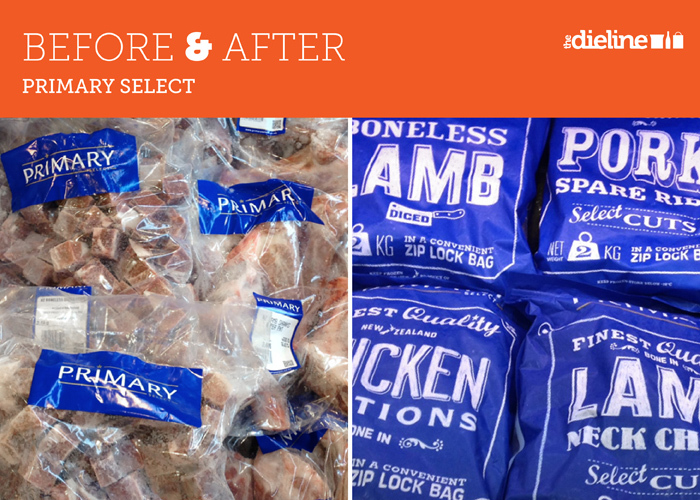 After the launch of our range of Primary Select frozen meat packs for Farmlands Mathias International, we were really pleased to see our work shown as a ‘Before & After’ feature on the Dieline website. The Dieline is the world’s most visited website on packaging design, with a readership of millions across many countries. It is the industry’s source for packaging design. Angle continues to work with Farmlands Mathias International as the initial range of nine packs for Primary Select expands. Recent work includes a new Mixed Pork Bones pack (at concept stage), three sizes of Cold Smoked Salmon packs (in production in Europe) and cartons for Frozen Basa Fillets. Read The Dieline article here. See Primary Select in our Work section.